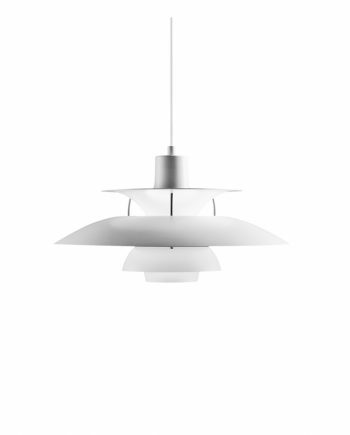 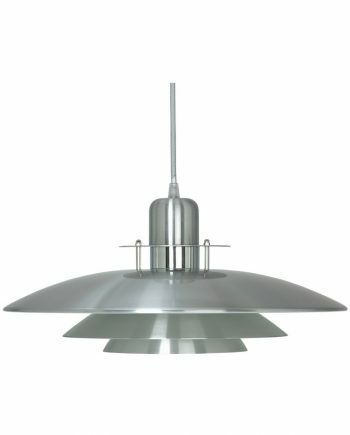 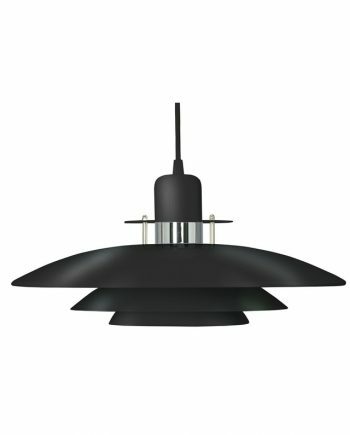 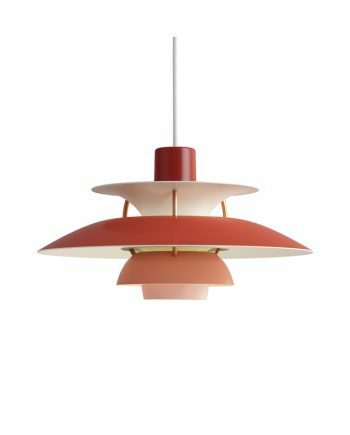 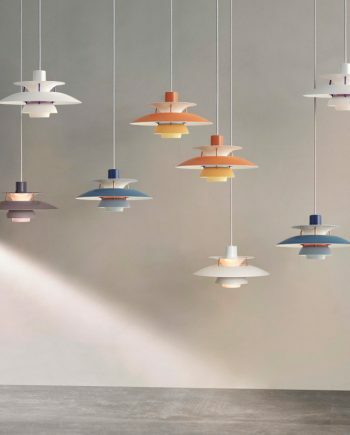 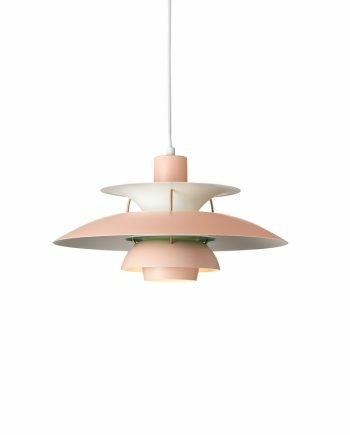 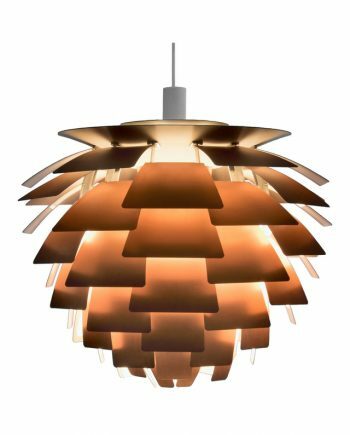 Designed by Danish designer Poul Henningsen the PH4/3 fixture provides his signature, glare-free illumination. The design is based on the principle of a reflective three-shade system, which directs the majority of the light downwards. 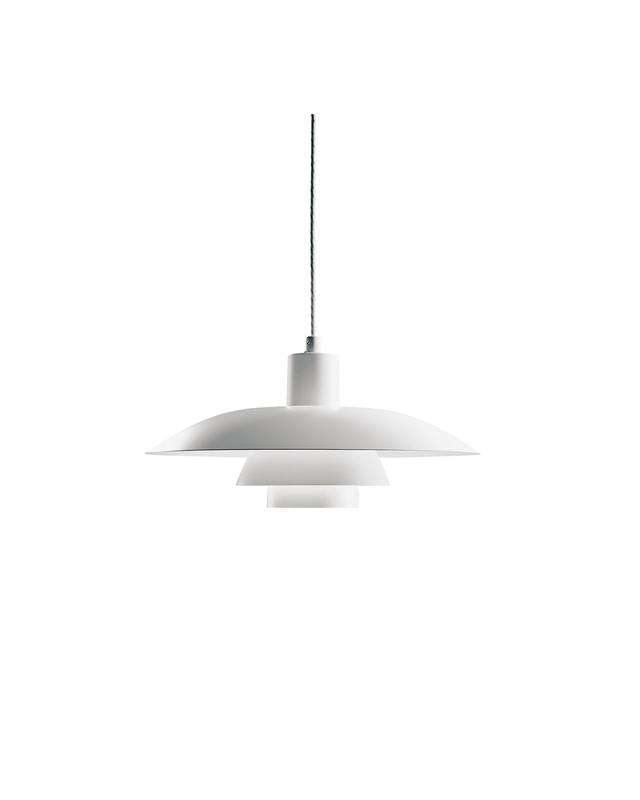 The shades are made of metal and painted white to ensure uniform, comfortable light distribution.